Beginning on January 1st 2018, Canadians applying for, renewing or refinancing a mortgage may have to prove that they can cope with interest rates substantially higher than their actual contracted mortgage rate. 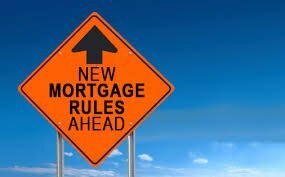 Changes to mortgage qualification rules made by the Office of the Superintendent of Financial Institutions will set a new minimum qualifying mortgage rate for uninsured mortgages, meaning that even buyers who have a 20% down payment will have to meet the so-called “stress test”. The rules, meant to ensure that homeowners will be able to afford to stay in their homes even if lending rates increase substantially, require the minimum qualifying rate for uninsured mortgages to be the greater of the five-year benchmark rate published by the Bank of Canada or 200 basis points above the mortgage holder’s contractual mortgage rate. In essence, these changes will be felt most strongly be first-time buyers who could see a 20% decrease in their mortgage approval. If first-time homebuyers don’t pass the new stress test, they will have a few options to consider: they can either save up a larger down payment in order to pass the stress test, they can consider purchasing a smaller or more affordable home, or they can look into adding a co-signer to the loan application to boost the income used to qualify. It is worth noting that the “stress test” scenario applies to refinancing as well, meaning that people who already have mortgages may have a harder time being able to get refinancing approved. It appears though, that if, when renewing the homeowner stays with their existing lender, they won’t have to pass the stress test again. If, however, a home owner changes lenders at mortgage renewal time, they may have to pass the stress test in order to qualify with their new lender. Regardless of which scenario fits your plans, the best thing a first-time buyer, or any buyer for that matter, can do is to make sure they understand what they qualify for using the new regulatory rules, and to get pre-approved for a mortgage before beginning the hunt for that perfect house. 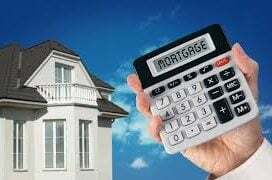 The mortgage amount that a buyer qualifies for should be clear right from the start, not a nasty surprise they get part way through the home-buying process. How can buyers prepare? Do the research and run the numbers based on your current household income. Try out an online calculator such as Ratehub.ca’s free online mortgage affordability calculator to see what kind of mortgage you may qualify for and what kind of impact the mortgage stress test may have on your plans.